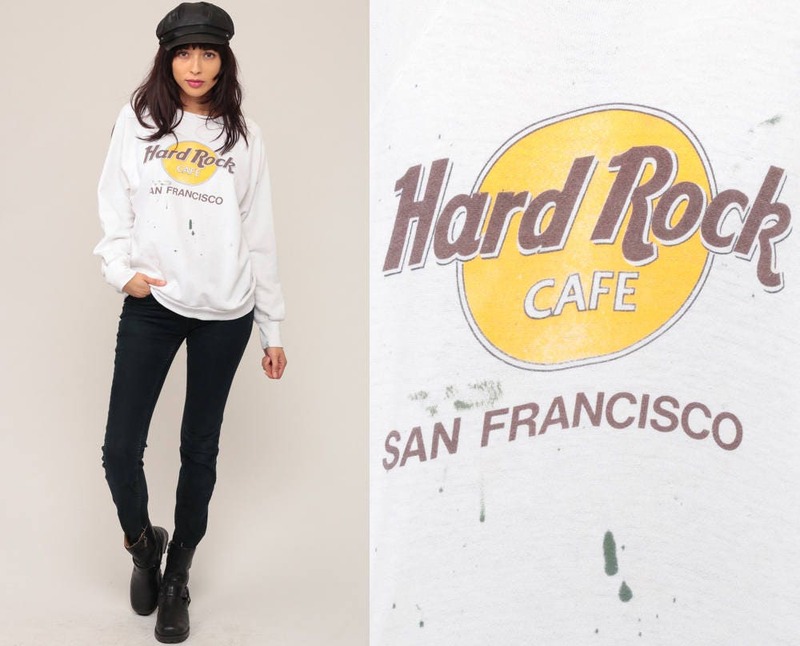 Vintage 90s sweatshirt from the Hard Rock Cafe in San Francisco, California. Distressed with paint marks. 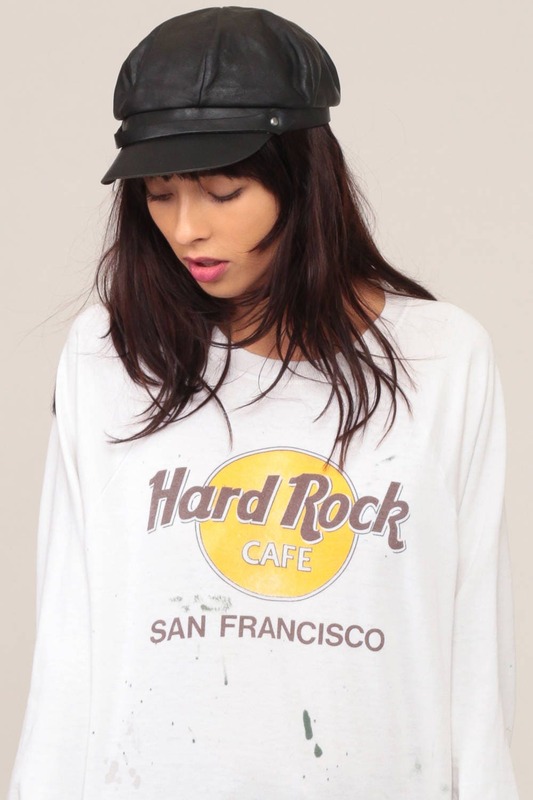 Unisex.Every item we sell is authentic vintage and one-of-a-kind! You will receive the EXACT item shown in the photos. Condition: Distressed. 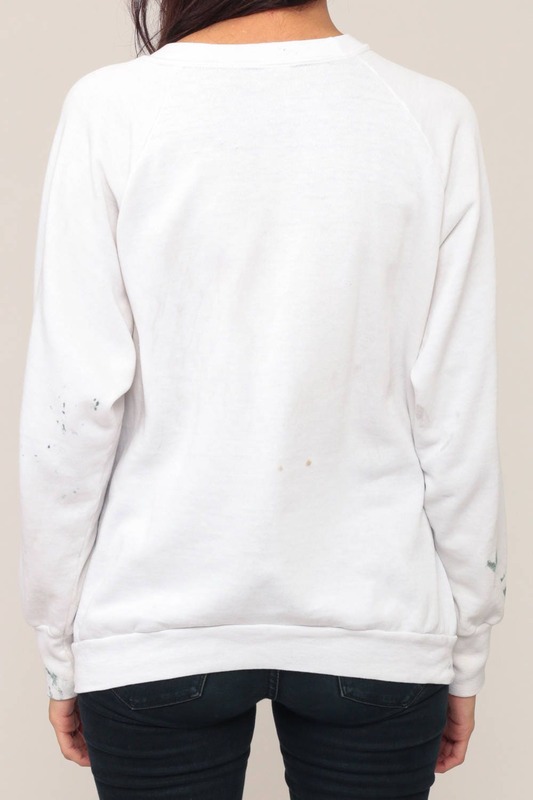 Spots, stains, and paint marks throughout. See photos.